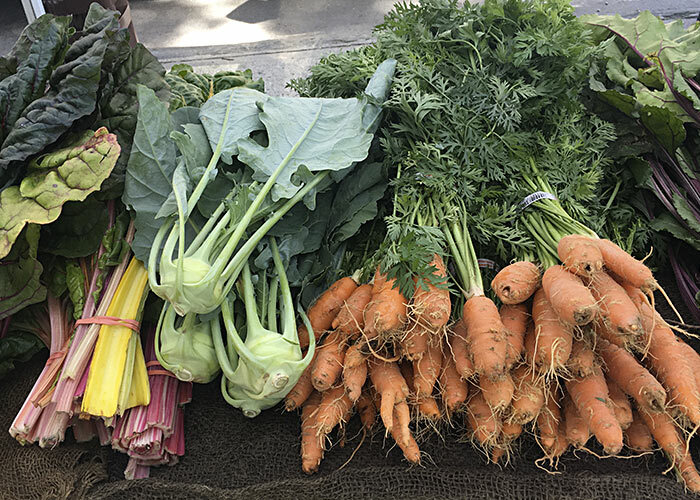 A Swell Day at the Market! We had the most gorgeous weather for the Farmers Market yesterday! A comfortable 80 degrees with a nice breeze, lots of people were out in force. The farmers brought their A-list produce, flowers and epicurean delights. Honorable mention: The strawberries are in full season and I must say, Union Hill did not disappoint! Their berries were SO sweet and juicy, I had to buy 4 cartons to satisfy my craving all week long. 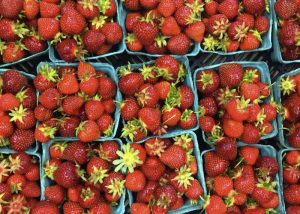 The season for strawberries is going on now but won’t last much longer, so be sure to get down to the Market next week and grab all the cartons you can hold–take my word for it, you’ll thank me!